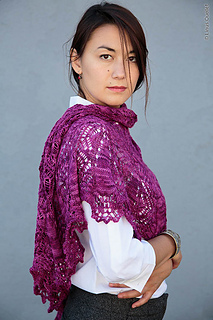 This shawl is worked from the nape of the neck to the border. 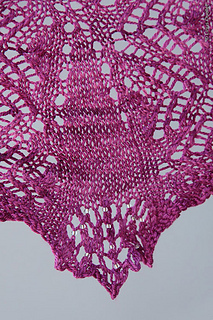 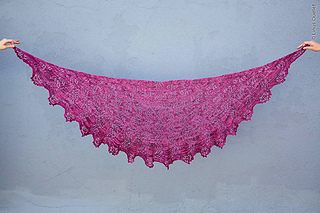 The optional beads both add visual interest and add weight to the edge of the shawl for better drape. 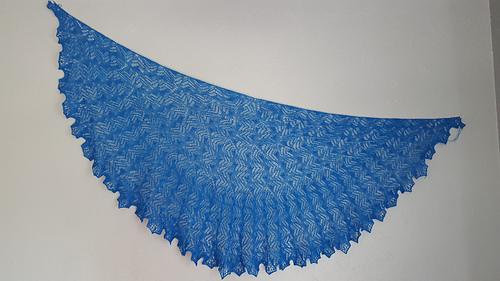 The shawl’s construction is based loosely on Elizabeth Zimmermann’s Pi Shawl concept, wherein the number of stitches approximately doubles at a point that is twice as far as the last doubling of stitches. 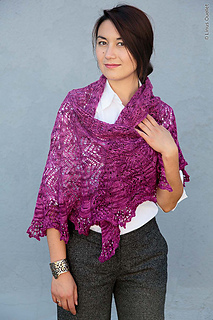 Because of this, it is relatively easy to adjust the length of the shawl, if you have yarn to spare. 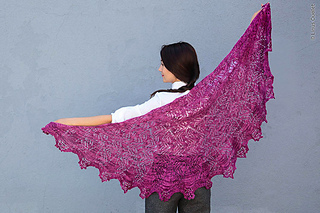 Notes are included throughout the pattern to help you determine that you have sufficient yarn to complete the pattern as written and to allow you to make the shawl longer or shorter if you prefer.